Point2 Homes gives you far more than a simple list of houses for sale. 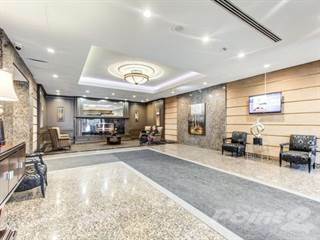 Get instant access to a lot of relevant information about Willowdale, Toronto, ON real estate, including property descriptions, virtual tours, maps and photos. The search results pages also have a wealth of information on Willowdale, Toronto, ON, if you scroll all the way down. There are 240 houses for sale in Willowdale, Toronto, ON. 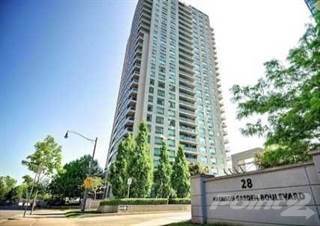 Searching homes for sale in Willowdale, Toronto, ON has never been more convenient. 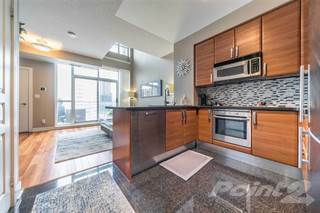 With Point2 Homes, you can easily browse through Willowdale, Toronto, ON single family homes for sale, townhomes, condos and commercial properties, and quickly get a general perspective of the real estate prices. Also, you’ll never miss a bargain if you filter listings based on house price drops in the past six months. Use the map view to find Willowdale, Toronto, ON homes and apartments for sale, based on amenities or city features that you may want close by. You can close in on a specific neighbourhood or area by simply drawing around them with the polygon or radius tools. Stay informed about the latest entries on the real estate market by saving your searches. This way, you get new listings in your inbox, daily or every week, based on your preferences. If you’d like to get in touch with a professional, agents are displayed next to their listings, and they’re easy to contact through the online forms. If you want more options, you can click the Tools tab and Find an Agent, and you’ll get a list of helpful and knowledgeable real estate agents in Willowdale, Toronto, ON. Visit the Point2 Homes blog and you can find up to date expert advice on many markets throughout Canada, regular market reports, neighbourhood scoops in cities throughout the provinces, real estate deals and useful recommendations. Willowdale is a large neighbourhood in uptown Toronto, Ontario. A small town by the name of Willow Dale at one point in time, Willowdale eventually became part of North York, and was then later absorbed by Toronto itself. Willowdale reaches from Bathurst Street to Bayview Avenue. As with many northern Toronto neighbourhoods, the 401 marks its southern edge. Its northern boundary is a little tougher to define, as many definitions have it overlapping with the neighbourhood of Newtonbrook. According to the official definition on the City of Toronto’s website, the northern boundary of Willowdale is Finch. Neighborhoods in a city as large as Toronto tend to be driven by something. Sometimes this is food, sometimes it is a certain type of business, and in the case of Willowdale it is driven by comfort for its residents. This is a neighbourhood where the homes of the residents take top priority, and it shows. The neighbourhood can only be called upscale. The houses, the condo towers, and the businesses all reflect this. There is some industry here, and a few large office towers, but many of the residents are still commuters and make the daily trek downtown to work. The neighbourhood is filled with green spaces, and recreational areas for children and families. A walk down the streets is filled with families and people out for a stroll with their dogs. It is a far cry from the breakneck, wall-to-wall sidewalk traffic of downtown Toronto. Because of the family-oriented nature of this neighbourhood, much of the entertainment is also targeted at families. Public recreation facilities are plentiful in all the green space throughout the neighbourhood, and on a weekend you’re bound to see families taking advantage of them. For example, Dempsey Park is one local favourite, with a playground that is sure to keep the children entertained. On weekends you will often see Tai Chi or Yoga classes taking place in the park. Edithvale Park is also home to the Edithvale Community Centre. The centre has fitness facilities and a gymnasium, and offers sports, arts and fitness classes for youth and adults. On Yonge Street, the entertainment options are numerous. Restaurants ranging from steakhouses to small ramen and shawarma houses are available all along the stretch of Yonge that falls within Willowdale’s borders. The Cineplex Cinema Empress Walk theatre is easily accessible from many of the largest condo buildings in the neighbourhood. Mel Lastman Square can also be found on Yonge within Willowdale. This area is home to many events, concerts and gatherings throughout the year. There is also a regular farmers market here on weekends during the summer months. Most people think of Old Toronto when thinking of historic landmarks, but history can be found in Willowdale as well. Gibson House Museum is one of the city of Toronto’s 10 historic museums. It was the house of David Gibson, a figure who was involved in the Upper Canada Rebellion. Willowdale is such a large neighbourhood that it is very difficult to classify the housing. Almost all types of housing can be found somewhere in this large area. Near Yonge, Bayview, and Bathurst, it is common to see many condo and apartment towers. These range from luxury to entry level. In the residential parts of the neighbourhood, it is common to see bungalows that are original to the neighbourhood and new construction. Willowdale has long been an option of those in the upper-middle to upper classes, and many of the newer homes are extremely large and ornate. There are many cases where you can see that two original lots have been combined to make room for a new construction. The parts of the neighbourhood that are closer in proximity to the 401 deal with some significant noise problems. Pollution however, is less of a problem here than in much of the city. Willowdale is far enough north and has enough green space that air quality is typically better than it is further downtown. Willowdale is by and large a very safe neighbourhood. The 2011 CBC Crime Map breaks the neighbourhood into Willowdale East and Willowdale West, but both do very well compared to the city at large. Both rest comfortably in the lower third of all neighbourhoods as far as crime rates are concerned, and are considered very safe. Parents have their choice between private and public or religious and secular schooling in Willowdale. The St. Gabriel Catholic School provides a religious option. The St. Antoine Daniel Separate School is also in the neighbourhood. The St. George Academy is a private high school with a campus in Willowdale. This school focuses on preparing high school students for university and college. Public school students will attend Willowdale Middle School, Churchill Public School, Earl Haig Secondary School, the Mckee Public School or the Hollywood Public school. The Claude Watson School for the Arts provides an arts-centric education. There are also numerous Montessori schools in the area. The FutureSkills Private School offers a private school option that teaches both high-school age and mature students. Access to public transit is still good in Willowdale, however you find a higher percentage of drivers here than in the southern parts of the city. The northern branch of the Yonge line terminates in Willowdale. The Sheppard, North York and Finch subway stops all fall within the large neighbourhood. Willowdale is clearly a family neighbourhood in every sense of the word. The emphasis on education is clear, with many more schools being located here than in comparably sized areas of the city that aren’t home to so many families. According to the City of Toronto, whether you are east or west of Yonge Street in Willowdale, the majority of families living in the area have children. There is a fairly even distribution in the ages of children living at home in this neighbourhood. This suggests that families are being started and staying in the neighbourhood while they raise their children.